Yesterday I wrote about some of the ideas and concepts we’re keeping in mind as we work on current projects and select new ones. It’s helpful to take the pulse of the world outside our own little bubble every so often. Sometimes the trends confirm our observations, and some surprise us. 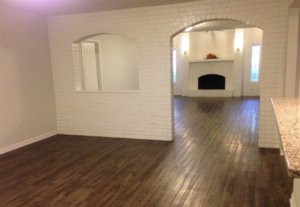 Here’s a blank slate that a new buyer could do a lot with (our currently rented Villa Park main house). Apparently, many are choosing to engage in very long-term renovations, which sound good, but may be hard on both homeowners and contractors. For realtors, advertising and emphasizing a property’s potential can prove to be a lucrative strategy. Buyers are increasingly showing that they pay attention to what a home may offer, instead of what it currently does. For developers and contractors, the shift towards larger-scale renovations means that price quotes should always include overage considerations in addition to any project-based flat fee — especially for time-consuming jobs like historic restorations or high-price residential remodels. It might be worth considering making a house clean and livable, but not making any high-end upgrades that may or may not be to the liking of buyers. They feel much more comfortable taking down basic components and upgrading them. I know it hurts ME to get rid of a bathroom renovation I know cost a lot of money but I just can’t live with. 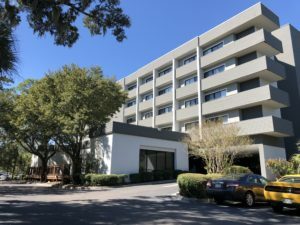 Some investors are converting older hotels into affordable homes. For young buyers who want to live in an urban setting, this is ideal. Figuring out what’s current and worth implementing when we renovate is an important part of our jobs. We read magazines, look at houses (Carol even gets to look at NICE houses as part of her retail real estate business), and watch the all-important television shows (OK, that’s just for fun). There’s more to it than just what paint colors to choose and what color fixtures to put in the bathrooms, though. We also are keeping a close eye on what kind of properties people want now, and what they’ll want in the future. Here are a couple of learnings that we are keeping in mind right now as we try to not blindly follow trends just to be trendy, but to look for trends that will lead to good investments of our time and money. Whether it’s urban row houses, transit-oriented development, or a new type of tract housing, practical and affordable mid-market homes, as well as starter homes and affordable rental units for young adults, remain potential goldmines for developers who figure out the right balance of price, land costs, location, and amenities. We are intrigued by the idea of creating new types of housing, and hope to figure out some in our Cameron property, which has some emtpy lots that could be turned into affordable housing of some kind, perhaps one of those with retail on the first floor and housing above, like I saw in Bryan last year. 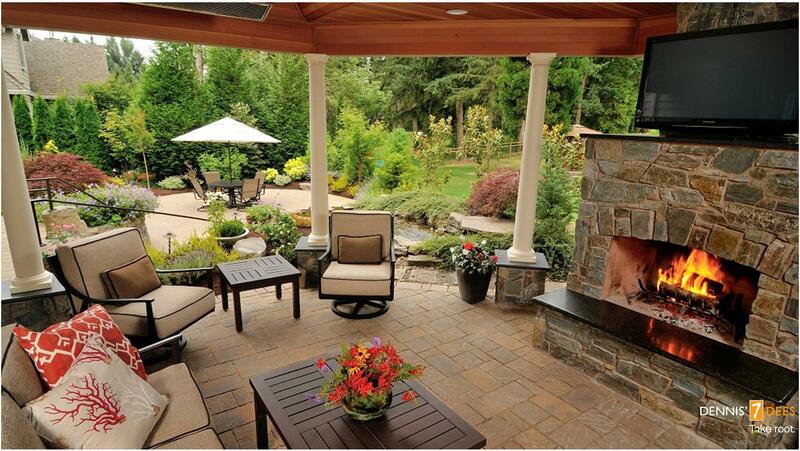 Outdoor Amenities: What’s the Ideal? I’ve been known to post the occasional curmudgeonly essay about decorating trends and fads. You may remember the series on decorating trends that must die, how not to be “dated,” trendy colors of the year, and so on. A recent link on Carol’s real estate page on Facebook brought to my mind another trend that’s been bugging me for quite a while: outdoor living areas. Gee whiz, I sure see a lot of images of these beautifully appointed areas in magazines, on television, and in ads. The Lowe’s and Home Depot stores are filled with outdoor furniture, huge grills, fire pits, outdoor lighting, and such. And the catalogs I get make me want to run out and buy lots and lots of pots of fake plants, statues of dogs, metal wall art, and little twinkling lights. Wanna know where I don’t see all these things? In the actual back yards of actual people, or to be more specific, in the back yards of people who don’t have a dedicated groundskeeping and housekeeping staff. How Not to Be “Dated”? I read a lot of decorating magazines (you know, as part of my job, heh heh). There are often articles about homes that have not been re-decorated in decades, other than small refreshes. These timeless settings don’t NEED shiplap to be beautiful. The original decorators chose colors, surfaces, materials and objects that retain their beauty. It can be done. All the downstairs walls in my ranch house are neutral. The color comes from accessories (and the red backsplash you can barely see). 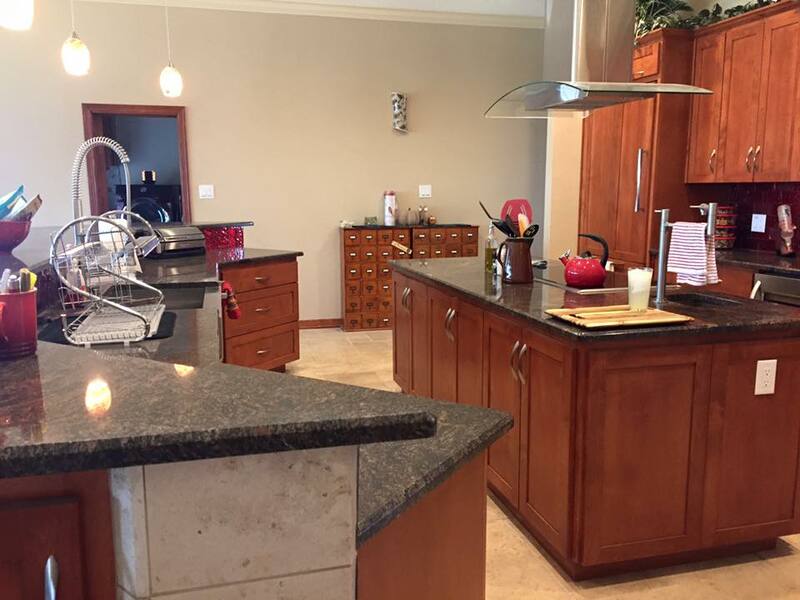 The cabinets, floors, and counters are all natural wood or stone. Real rocks are timeless. I was looking for some guidance on timeless decor, when my friend Meg posted an article on my Facebook timeline that was exactly what I was looking for. Check out How Can I Decorate in a Way That Won’t Date? by Anna Baddeley for some great ideas (also it’s on a great site, in general). Most of her ideas make sense, and a few of them might be new to some of us. Hmm, how am I doing in creating timeless decor in my own homes and renovations? Keep Walls Neutral. Baddeley says, “Grey, especially when offset with flashes of yellow, is already looking a bit tired. Unless you are very confident with colour, it’s safest to stick with boring white.” (You can tell she’s British.) Other than vindicating my personal ennui about gray and yellow, she has a good point. If your backdrop is a serene neutral (and there are so many shades of white), the rest of your furnishings can shine. I kept the original color in my most recent family home for 15 years. You can always change pillows if you want color. It’s our final installment of the Trends Which Must Die series! As you may recall, it’s based on this article: 15 Most Hated Home Decorating Trends That Need to Die in 2017. I’ve shared my thoughts on white kitchens (nope), granite counters (yep), and so many others. I’ll link to the others at the end of this post, in case you want a review. What’s up for today? A couple more items that bring out strong opinions in me! Let’s go. These nice folks posted their shelves to Pinterest. They just have FOUR of everything, except mugs. Now, this is a trend I truly don’t get. I think the photos in magazines and the images on television shows of these kitchens with only open shelving are beautiful, yes. However, it brings up a question. Who ARE these people who can store all the contents of their kitchen cabinets out in the open? Where do they get all that matching stuff? How do they LIVE with so little kitchen stuff? The answer I propose is that all of these people have giant pantries, or better yet, separate, closed-off butler’s pantries to hold their food processors, waffle makers, ugly plastic kid stuff, and mis-matched glassware. Also, there are never more than 6 people eating at their homes, since there are usually six pristine plates, bowls, glasses, and cups displayed with plenty of space around them, so they can breathe (I guess). And those three matching mixing bowls. Those are nice. On the other hand, maybe the folks with open shelves just don’t have the funds for cabinets. I know a few folks like that, and their shelves are filled with fun and funky treasures. That’s sort of cheerful, really. 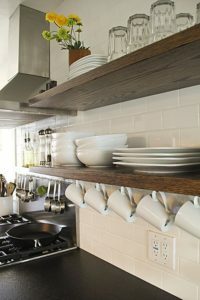 I’m all for a couple of nice shelves to display beautiful kitchen treasures. However, my dinner services for 12, 6 sizes of glassware, endless storage containers and serving pieces are much happier behind nice, opaque cabinets. Maybe one or two could have glass, you know, to show the Fiesta Ware that Anita has. I have china cabinets for nice things. Kitchen cabinets are for work horses, seldom used but helpful things, etc. Prediction: In the next five years, contractors will be very busy replacing open shelves with cabinets that feature doors.